As the flagship SUV of SsangYong, the size of the 2018 Rexton has been enlarged compared to previous models, and has been greatly enhanced with a blend of off-road capability, on-road comfort, and refined interior. 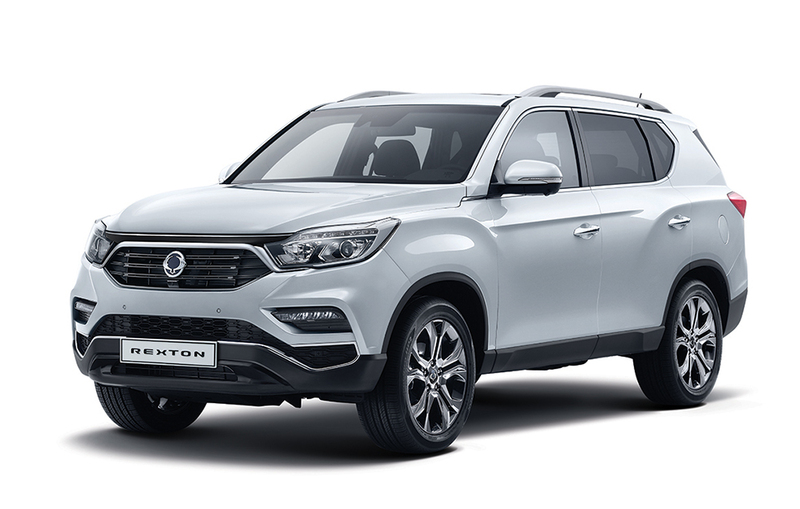 Along with its majestic look, Rexton offers a powerful driving performance based on the combination of a 2.0-liter turbocharged direct-injection gasoline engine, delivering maximum power of 225HP and maximum torque of 350Nm, with an Aisin 6-speed automatic transmission. The Rexton’s shoulder-wing design of radiator grille and rugged front lines project the classic SUV look, while the dynamic character line along the sides add stately beauty. 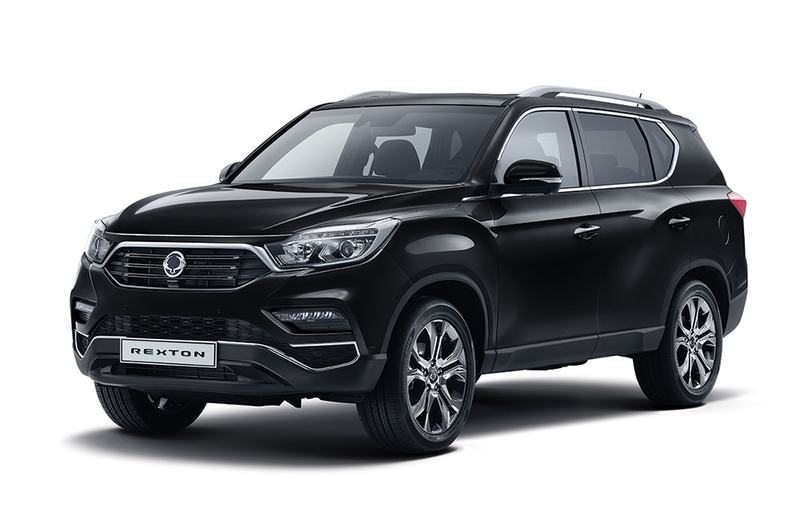 The bold yet sophisticated feel is underscored by the front bumper outlined in chrome; the black, high-gloss skid-plate; and the side repeater and puddle lamp built onto the back of the side mirror. 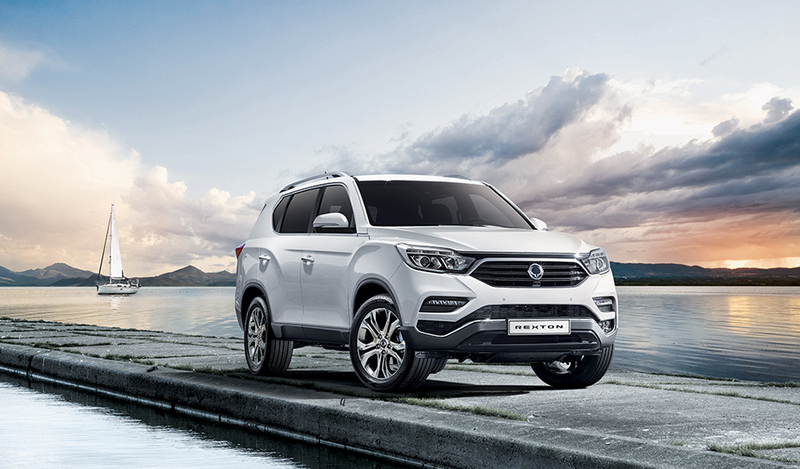 Displaying a distinctive look in the back The spoiler with high-mounted auxiliary stop light highlights the Rexton’s sportiness while improving safety, and the rear combination lamps are laid out horizontally to project width and a more imposing image from behind. 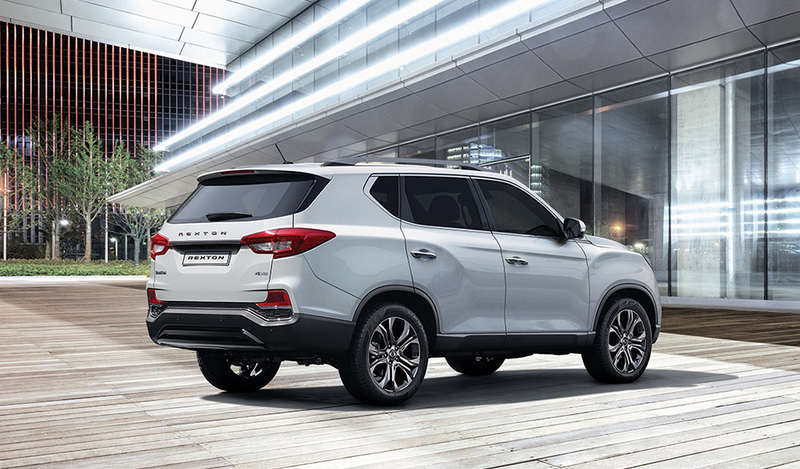 A strip of chrome moldings crosses the tailgate center for added refinement, and the muffler has been hidden to enhance the overall simplicity of the rear design. 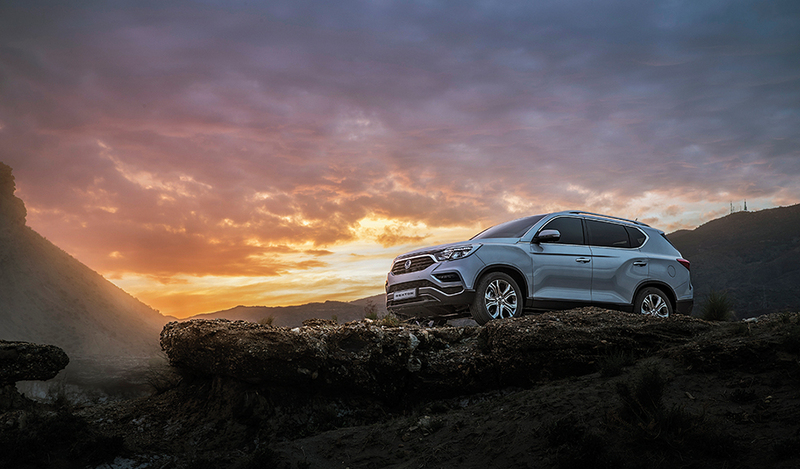 The license plate illuminated by LED lights and the clean-sill doors provide the perfect finishing touches to the exterior. Providing a full view of the environment outside Four cameras have been mounted on the outside to provide a real-world view of the area on all sides of the vehicle, making low-speed driving or parking safer and easier. Moreover, the angle of the outside mirrors automatically tilts downward when the vehicle is put in reverse to assist the driver with parking. 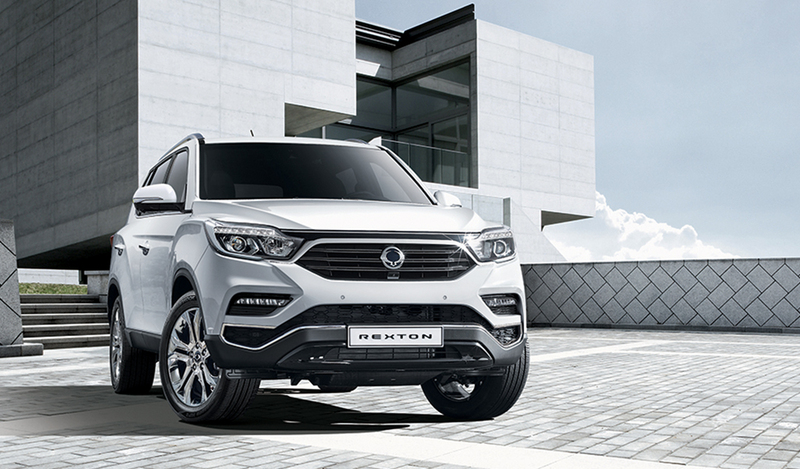 Offering a rich infotainment environment inside Rexton’s infotainment system comes a high-definition touchscreen, which supports Apple CarPlay and Google Android Auto. System features also include radio and MP3 player functions, real-time broadcast recording, and a USB port. The Rexton comes with a 2.0L.Normally the vehicle runs in rear-wheel drive, which enhances handling stability by optimizing weight distribution, but the driver is free to select one of two four-wheel drive modes as needed.